Martin Skrtel has rejected the chance to play under Steven Gerrard for Rangers, because the Scottish club cannot afford his wages. The Slovakian’s agent Karol Csonto admitted his client is flattered by Gerrard’s interest, with Liverpool’s former captain making an official approach to the centre-back. Gerrard played with Skrtel between 2008 and 2015, with the pair coming very close to Premier League glory in 2013/14, when arguably Liverpool’s greatest ever midfielder assisted nearly all of Skrtel’s seven goals from corners. “Martin would be very happy to play under Steven Gerrard but sometimes, regarding transfers, you need to put so many things together and in this situation it’s impossible,” Skrtel’s agent told the Scottish Daily Record. “When there is only a small difference then you can find a solution. But in this case, the salary of the player in Turkey is four or five times more than what Rangers could offer. That makes it impossible. “Also, Fenerbahce will never let him go because he is their most important player and they need him for the Champions League qualification. That means at this moment the deal would cost five or six million euros minimum. And, as I told you, the salary is very different. Gerrard may have to set his sights a little lower, although there’ll be a number of current Reds and formers ones he’ll have a direct line to this summer. There’s a big chance he’ll be enough of a draw for many players who’ll be willing to lower their wage demands to play under his guidance. 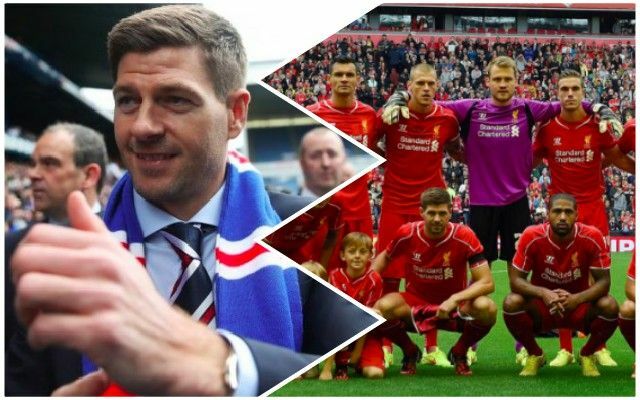 We really hope Gerrard does well north of the border – as if he does – he’ll become the obvious choice to replace Jurgen Klopp sometime in the future. The German is contracted until 2022, meaning he’ll still have four full seasons after this one – should everything go well.